Traffic engineering sector of HRP Infra adheres to the purpose of finding Capacity Analysis, Traffic Demand Estimates and forecasting Impact Analysis, Traffic Facility Design, Pavement Design, Bye-pass Study and Transport Economics which all together ensure achieving safe and efficient movement of people and goods on roadways. We are engaged in offering Route Survey to our clients at industry leading prices. 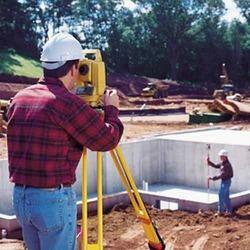 These surveys are done for the designing and construction of various highways, pipelines, canals, or railroads. Our organization is associated with the designing and construction of highways. Our company has created a niche in the field of providing Route Survey Service.